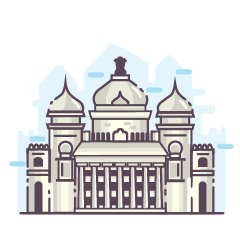 Hunting for an ideal place to rent in the ever-so-bustling city of Chennai? Head to Zolo Tiara, today! Equipped with fully-furnished premium accommodations, this property for men in Thiruvanmiyur, provides services which are better than those of the local PGs in Chennai. Apart from having access to a wide range of services, residents are also entitled to choose among double, triple, four, five and seven sharing rooms, based on their preference. What more, with housekeeping at their service, free high-speed WiFi on the gadgets and round the clock safety, they are sure to experience comfort and freedom like never before. Close to IT parks like Ramanujan IT City, Tidel Park, this place is a steal for people working around the area. Hurry, schedule a visit today! Food is not available in Zolo Tiara.